However, I wonder if this goes far enough? These tools help with which tasks to do first but not with managing how many to do at a time. Looking into this recently, I came across some striking claims about multitasking: every time you switch from one task to another you lose time to readjust to the context of what you are working on. 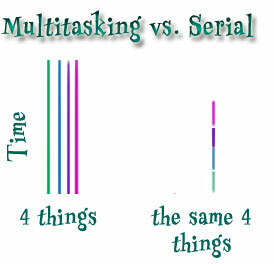 So the more tasks you work on at the same time the longer it takes to finish, and the more time you are wasting. The research on this isn’t new: in this article from 2001 the authors explain how there are two different things going on in the brain. One is switching from getting one things done to another, and the other is the switching to different thought processes for each kind of task (they call these ‘goal switching’ and ‘rule activation’). If you’re not convinced, try this experiment on yourself: make three columns on a sheet of paper write A, 1, and I (roman 1) at the top of each column. Now go across the columns filling them in from A to J, 1-10 and I to X. Time yourself. Now do it again going down the columns and time yourself. See any difference? Most people do it in half the time! So how to reduce multitasking? Is it really feasible in the kind of work we do? 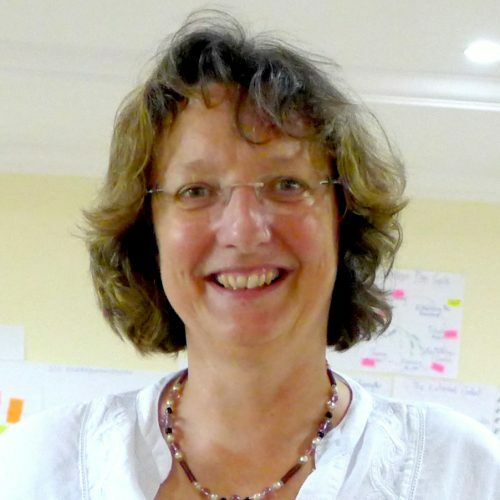 In an entertaining and convincing video, Sandi Mamoli takes lessons from the ‘Agile’ movement of software designers to show us how. If you’ve got 30 minutes when you’re not doing other things, have a look!